We all love a perfect makeup look, but we hate how soon it gets smudged or wears off, especially from your lips! Yes, ladies, it happens to us all. You are with your friends for a coffee or spending some loving moments with your partner, and suddenly see that colorful mark on your coffee cup or his shirt’s collar. And you realize that it’s your lipstick that decided to switch places from your lips to other surfaces. But don’t worry girls, we have the perfect solution to avoid such embarrassing situations to happen ever again. 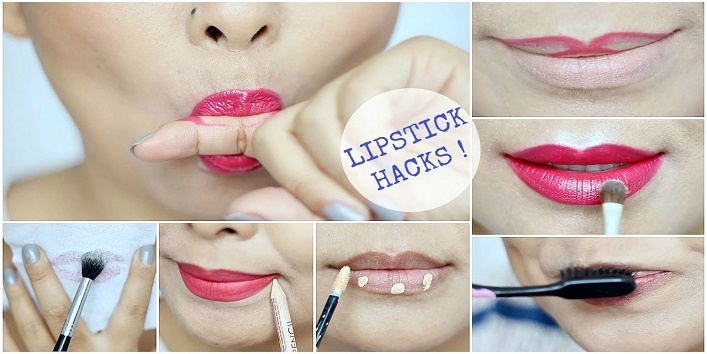 The following beauty or say lipstick hacks will save your day! 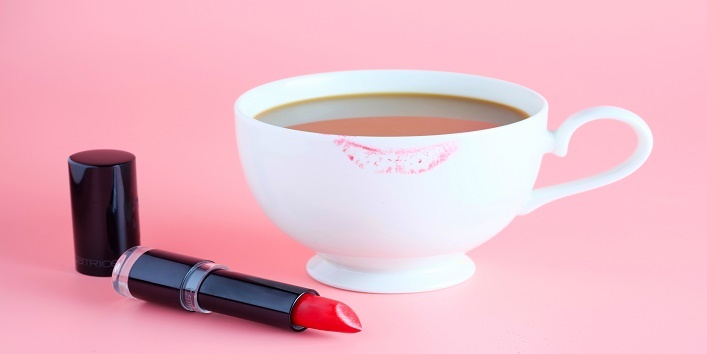 In this article, you will read 5 amazing beauty hacks, that you can try to avoid getting any lipstick stains on cups & collars. Also read: Match Lipstick Shades With Your Skin Tone For A Perfect Look! The best to get a bold look for your lips is to apply a lip liner. It not only marks a statement but also prevents lipstick from shifting to another surface or smudging on your face. A lip liner brings out a perfect shape for your lips and boundaries your lip color to stay within. You will always be needing to blot your first layer of makeup, be it on your lips or face, to get a finished and more vibrant look. Blot helps the makeup to settle and doesn’t allow it to shift from its place or prevents it from transferring it on cups & collars. All you need to do is blot your lipstick right before you are about to apply another layer of it, to make it stay on the place and last longer. This is the easiest trick that you can go for getting a long-lasting lipstick and preventing it from sticking to other surfaces like collars and cups. Simply take your compact powder or any translucent powder and dust it all over lips right after you apply a single shade of your lipstick. Then re-apply another shade of your lipstick and seal the deal for an intact look. Foundation is not only for your face, but it can also be applied on lips for increasing longevity of your lipstick. 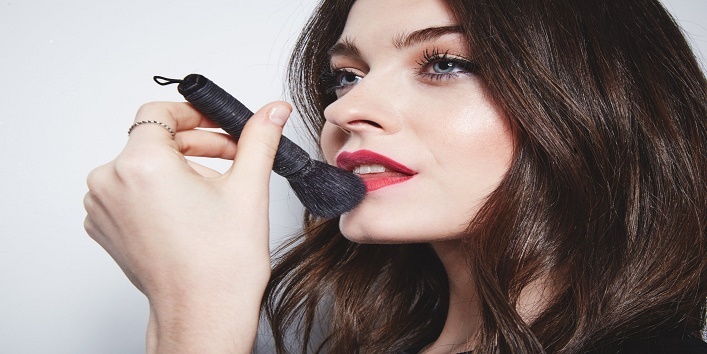 Applying foundation first and then sealing it with a compact powder is great for a longer lasting lipstick. Primer is a great option if you want your lipstick to last longer and avoid getting stains of your lip color on things like glasses, cups or collars. It provides a smooth and even base for your lipstick, making the latter stick to your lips for longer period and preventing it from transferring it on collars and glasses. 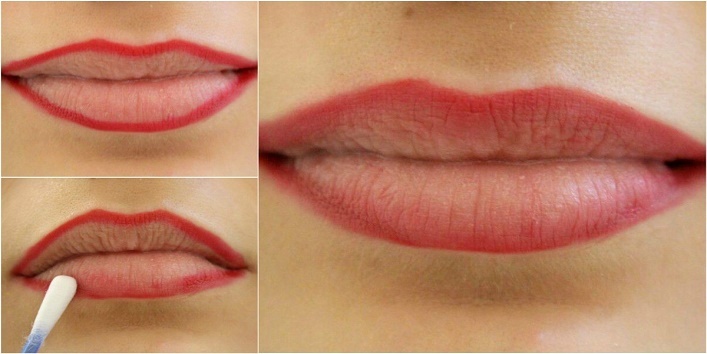 Follow these amazing hacks to make your lipstick last longer and give you peppy look in no time. Share your experience with us in the comment section below!